Can Every Child Get Straight A’s? Over the weekend you missed a stellar debate I had with Amy. It started from the piece, Why Chinese Mothers Are Superior, by Amy Chua in the Wall Street Journal. You have to read it and then come back and tell me how deeply it offended you. The thing that got us going was a debate over straight A’s. My point of view is that I will demand straight A’s, no matter what. I mean with the ultra-low requirements of our schools getting an ‘A’ simply means turning in homework. It is amazing how few can even do that. Just thinking about it makes me want to set the bar even higher, with honors classes and extra projects. Simply put, I do not see any reason why students in America should not get A’s. I think that striving to do so is the only way to fix our schools because it requires resetting parental expectations – both to get parents more involved in homework and to get us as a group and a nation to expect nothing but the best. I don’t know, maybe I’m being naive about this. Maybe I should consider those students who have trouble in math and let them off. What do you think, am I a complete tyrant for thinking this? Will you hold your children to the same standard that I and “Chinese Mothers” do/will? If not, please give a reason why. Posted on January 18, 2011 Author robotchampionCategories culture, defaultTags amy chua, china, chinese, debate, discipline, education, grades, mother, report card, school, straight A's, wall street journal20 Comments on Can Every Child Get Straight A’s? 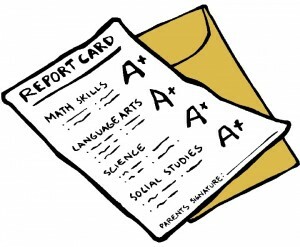 Can Every Child Get Straight A's? Posted on January 18, 2011 Author robotchampionCategories culture, defaultTags amy chua, china, chinese, debate, discipline, education, grades, mother, report card, school, straight A's, wall street journal21 Comments on Can Every Child Get Straight A's?